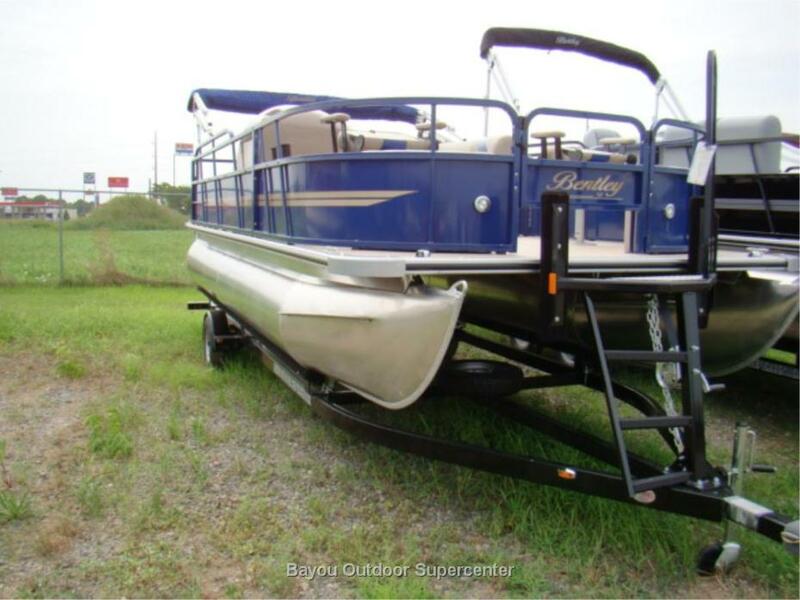 I have a 2004 Bentley Pontoon Boat for sale with a 50 horsepower Mercury motor and trailer. 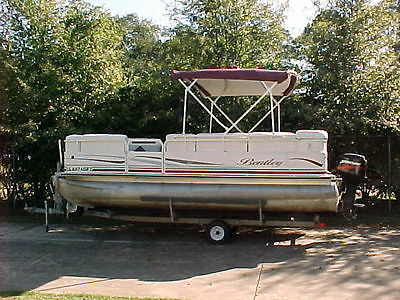 It is white with burgundy trim and bimini top. The boat has a small table on board and also a potty. The boat is in good shape other than the upholstery. The bottom part of the seats need to be reupholstered and also the area across the back of the boat. In my pictures, the white areas seen on the bottom of the seats is duck tape and I also taped the burgundy areas on the bottom seats. I'm not sure of the total engine hours because I purchased it used but I know in three years we have only put about 10-15 on it. It is an older model boat so it does have signs of wear and tear but overall it is still in good shape! 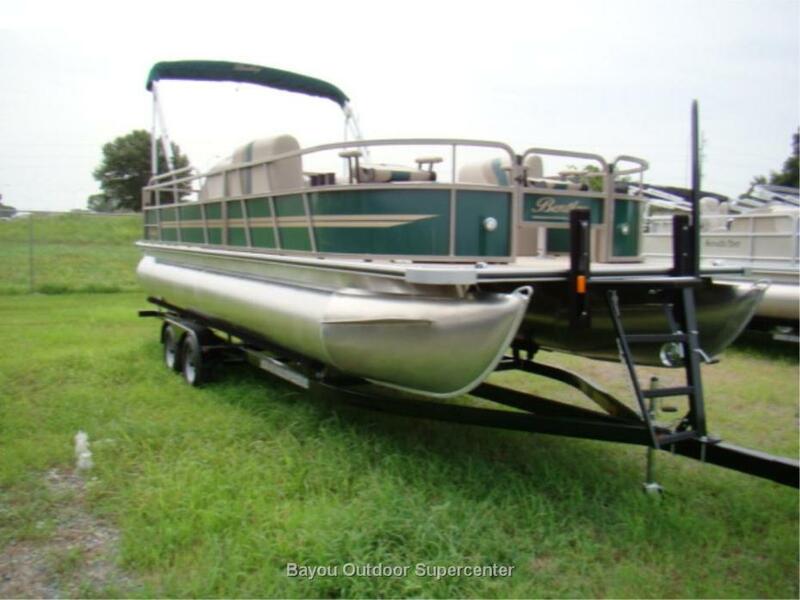 2015 Bentley 240 Fish RE (Green w/Evinrude Controls) 2015 Bentley 240 Fish RE (Green w/Evinrude Controls), WHY ENCORE BOATS? 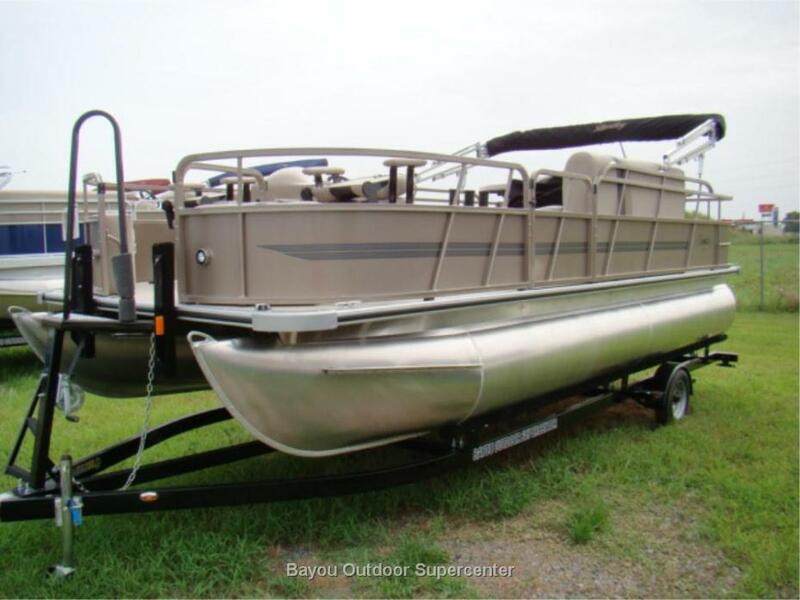 Encore Boat Builders thrives on manufacturing a good quality boat at an affordable price. 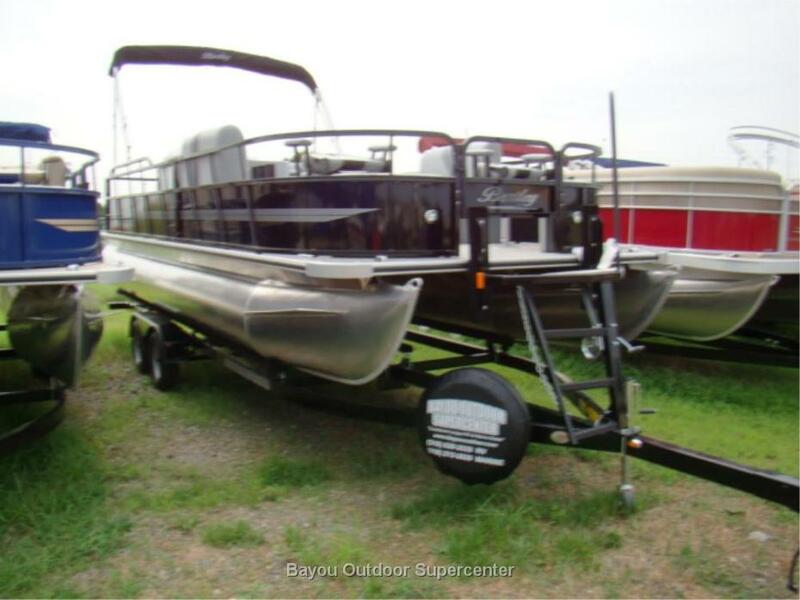 Several selections of floor plans and options are available, be it for cruising or for fishing. The company’s goal is to produce quality boats at an affordable price with features and workmanship superior to other available models. Specifications Length -----------------------------------24 feet Beam ---------------------------------------8’6” Tube Diameter .....................................25” Tube Gauge ..........................................080” Dry Weight ..........................................1940 Max Persons ........................................14 Max Capacity ........................................2530 lbs Max HP ...................................................150 Fuel Capacity .........................................36 EQUIPMENT INCLUDES: 9’ Bimini Top All Vinyl Floor Play Pen Cover (Mooring Cover) Standards 3/4” Marine-grade Plywood Deck w/ Transferable Lifetime Warranty All Through Bolted Deck 25” Diameter Tubes All Aluminum Transom 11/4” Powder Coated Railing Custom Fiberglass Console w/ Foot-well & Windshield Speedometer / Tachometer / Voltage Meter / Fuel Gauge 12 Volt Receptacle / Radio Cut-off Switch Changing Room (drop-curtain ) Waterproof Stereo / CD / MP3 Adapter w/Speakers Glove Box (inlcuded with standard bench seats) Front Wheelchair Accessible Gate Lift Gate Latches Rotocast Furniture* Rear Entry w/ Ladder 2 Bass Seats Table w/ Cupholders Sundeck Navigational Lights & Halogen Docking Lights Bumper Guard w/ Splash Panels PRICE INCLUDES 115ETEC MOTOR !! 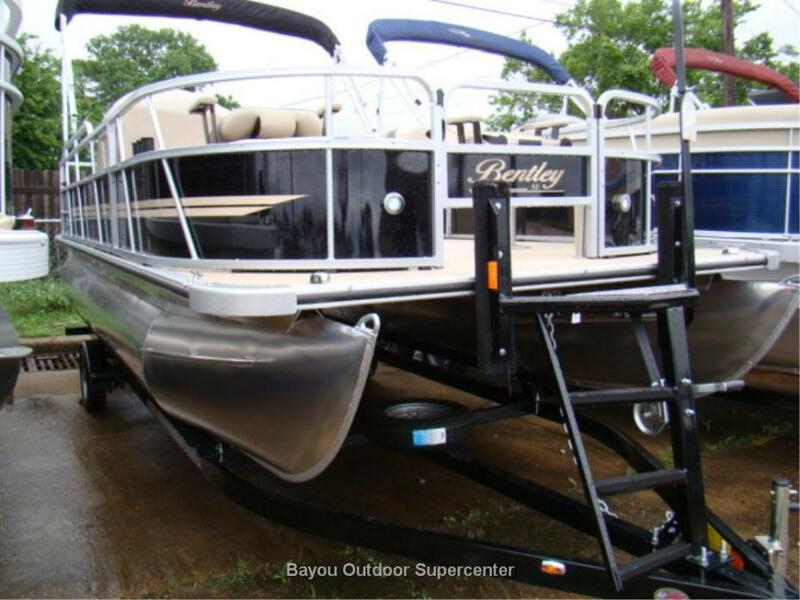 2015 Bentley 204 4 Point (Black w/Evinrude Controls) 2015 Bentley 204 4 Point (Black w/Evinrude Controls), WHY ENCORE BOATS? 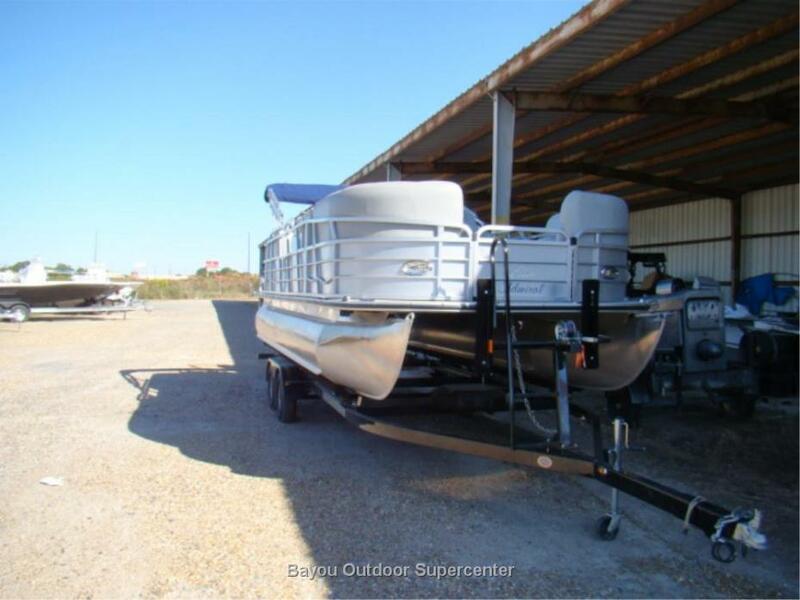 Encore Boat Builders thrives on manufacturing a good quality boat at an affordable price. 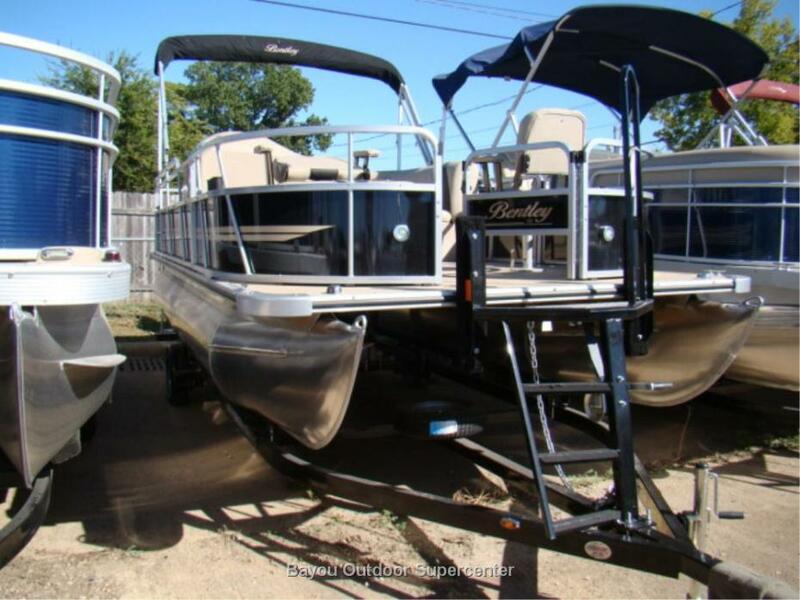 Several selections of floor plans and options are available, be it for cruising or for fishing. The company’s goal is to produce quality boats at an affordable price with features and workmanship superior to other available models. Specifications Length -----------------------------------20 feet Beam ---------------------------------------8’6” Tube Diameter .....................................25” Tube Gauge ..........................................080” Dry Weight ..........................................1620 Max Persons ........................................8 persons Max Capacity ........................................2240 lbs Max HP ...................................................115 Fuel Capacity .........................................32 EQUIPMENT INCLUDES: 9’ Bimini Top SE Package-Tan Seagrass Flooring Blue LED Package Captain Chair Powder Coated Ski Tow-Black Platinum Panels Color Match Rails- Platinum Play Pen Cover (Mooring Cover) Standards 3/4” Marine-grade Plywood Deck w/ Transferable Lifetime Warranty All Through Bolted Deck 25” Diameter Tubes w/ Lifetime Warranty (workmanship) All Aluminum Transom w/ Lifetime Warranty (workmanship) 11/4” Powder Coated Railing (1-year warranty) Custom Fiberglass Console w/ Foot-well & Windshield Speedometer / Tachometer / Voltage Meter / Fuel Gauge 12 Volt Receptacle / Radio Cut-off Switch Waterproof Stereo / CD / MP3 Adapter w/Speakers Front Wheelchair Accessible Gate Lift Gate Latches Rotocast Furniture* Rear Entry w/ Ladder Table w/ Cupholders Sundeck Navigational Lights & Halogen Docking Lights Bumper Guard w/ Splash Panels PRICE INCLUDES 90ETEC MOTOR ! !